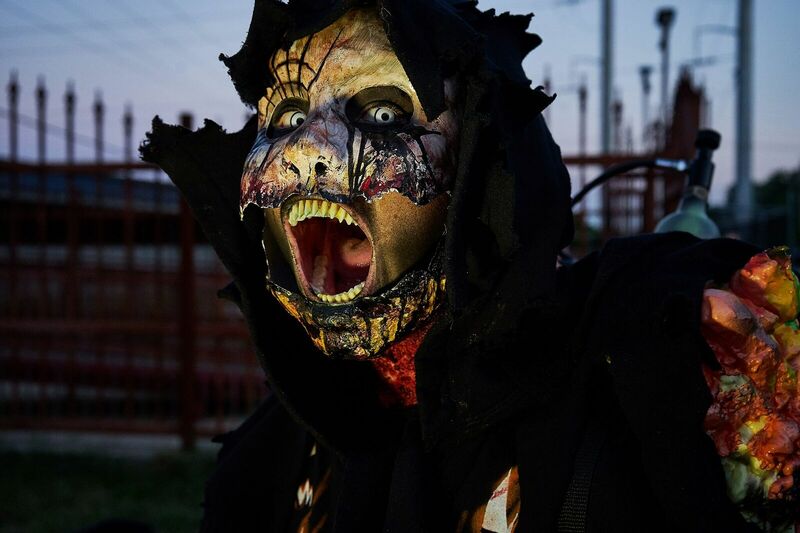 Dungeon of Doom Haunted House is a Haunted Attraction located in Zion, IL. 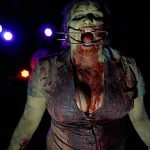 Team White City Devils reviewed this Haunted Attraction on September 29, 2018. We attended on opening weekend when there was a cast of only 60-75 actors. That sounds like a lot but when considering the length and size of DoD, there wound up being quite a bit of empty space throughout, even with the number of well-placed actors. Many of the cast we encountered utilized pop-scare effects and they did well on that. We would have liked to have seen more interactions with the actors, as most were growlers and screamers. The handful of cast members who did interact and had dialogue were dexterous. Most interactions happened at the beginning, where the actors assisted with forming the lines for groups to go into the haunt. One group had someone with a birthday that day and they gathered around to sing “Happy Birthday” to her, which was something we haven’t seen before. Overall, the actors we did confront were enthusiastic and entertaining. 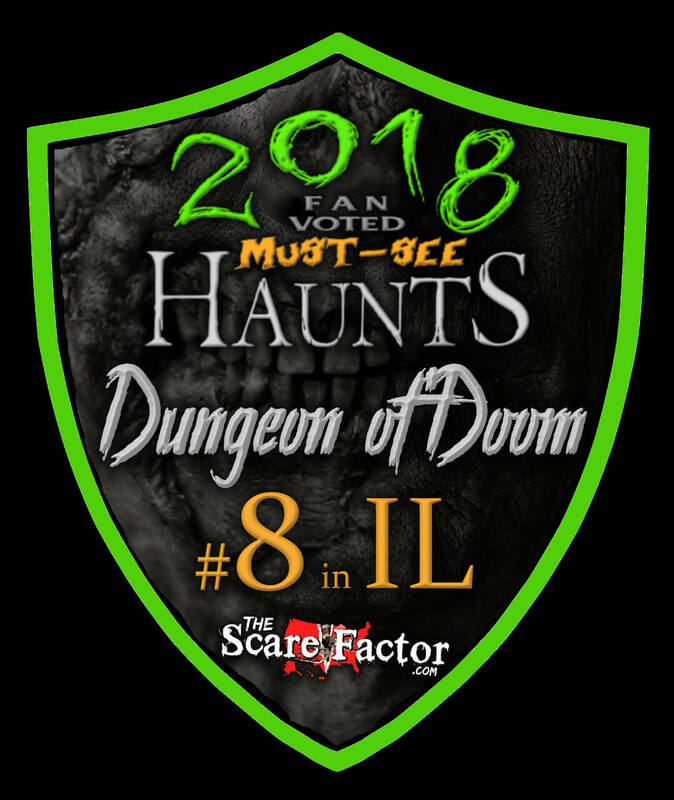 We are sure in the upcoming weeks, with more actors coming aboard, that DoD will have the dead spaces that we encountered filled properly, and it will likely increase the scare factor for the haunt. Most of the costuming throughout DoD was appropriate for the scenes. We saw our fair share of clowns that were colorful, yet covered in blood, and they seemed to be entertained by it… which added to the creepy factor. The masks were well detailed and fit the actors appropriately. 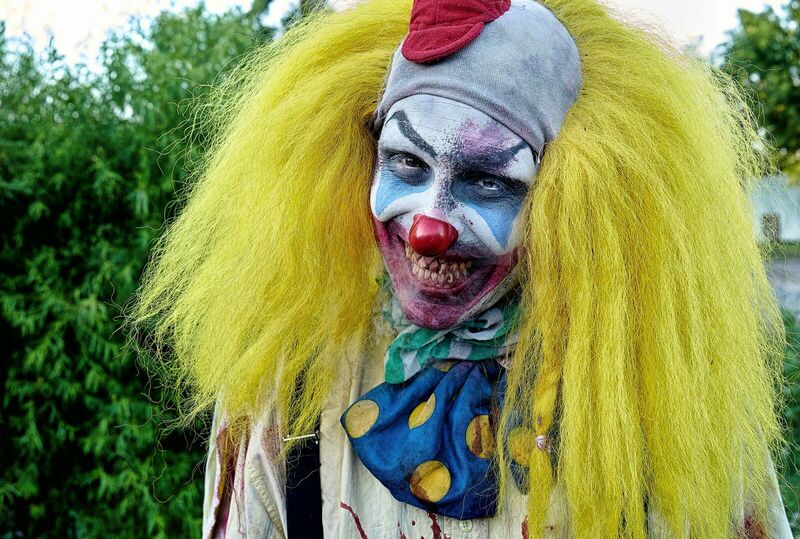 We recall a clown that had a latex mask that looked like his natural skin, giving off that perfect, eerie feel. As we continued through, we wound up in a sewer scene and the dwellers throughout seemed to all have uniformed costuming. 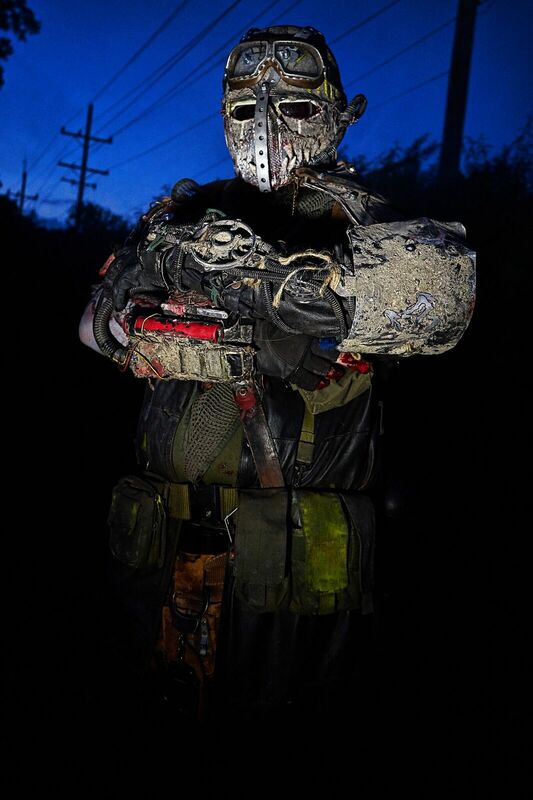 They were dressed in some fearsome armor that gave these characters a post-apocalyptic vibe. 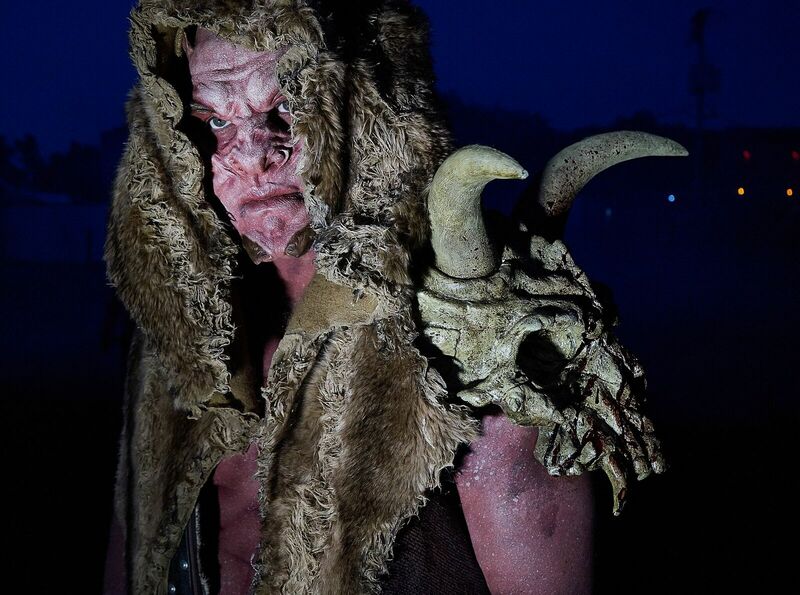 Another scene had actors dressed in tribal gear in an ancient tomb area. 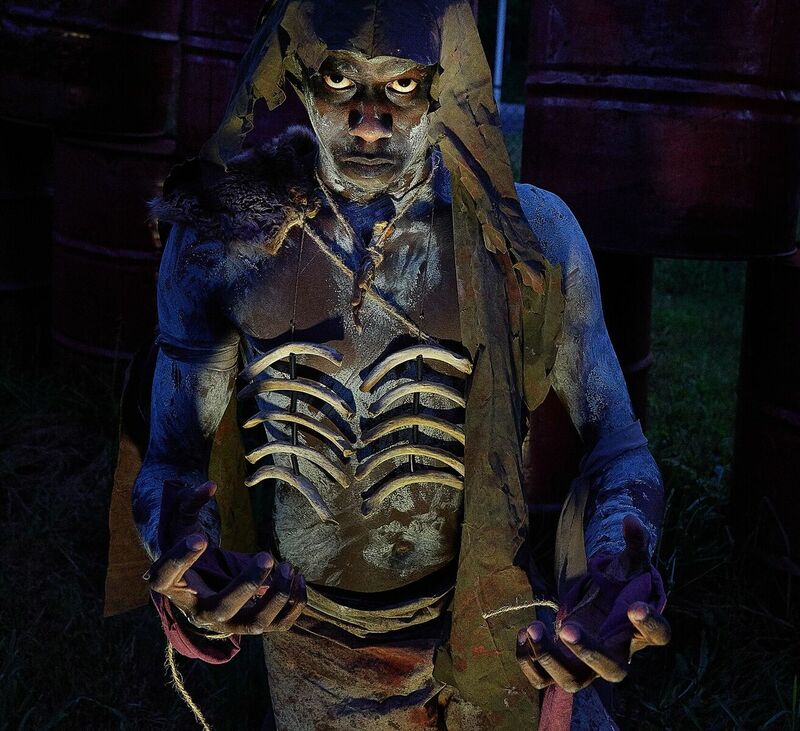 The makeup used in this area made one actor look like a voodoo priest, and the white contacts added an extra dimension to the costume. Overall, all of the costumes seemed to be of higher-quality items and were appropriate for all of the surrounding scenes that we encountered them in. DoD’s staff has had years of experience and they do a fantastic job with their service. 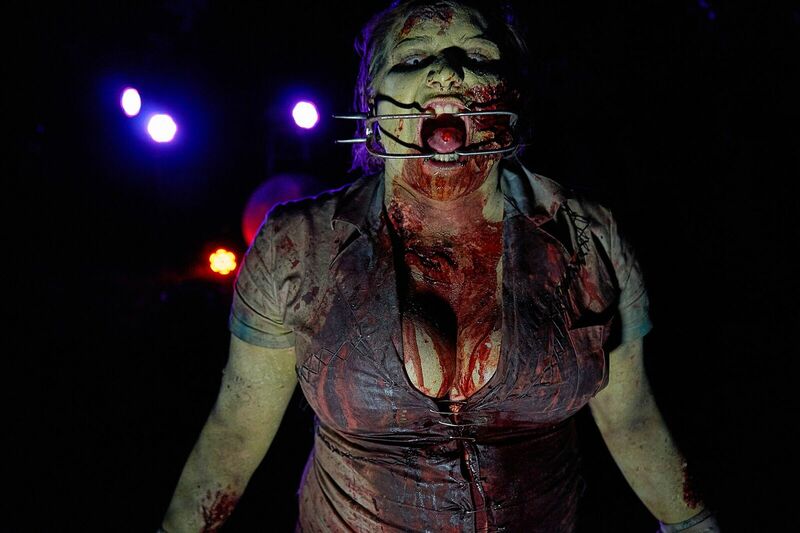 All information needed to visit the haunt can be found on their website and Facebook page. Locating the haunt can prove to be a bit tricky. Our GPS led us according to the address, but there were plenty of ways to get there that were blocked off. After finding ourselves on I-137, there were enough clear signs that led us in the right direction. We discovered that the reasoning behind this is to keep traffic flowing in one fairly consistent direction, which keeps everything organized to get to the parking lot. There were a couple of free parking lots and security posted throughout. During our visit, one couple touring the haunt had a moment of extreme panic and needed to leave immediately. We had addressed this to an actor and, considering the situation, the actor stopped right away and escorted the couple to the nearest exit. It was really nice to see that they instantly took someone who had an emergency and tended to their safety. The staff was very professional and answered any questions we had about DoD. We do want to give some helpful information to anyone reading: Make sure to keep any bags or purses in the car, and bring an ID with you if you purchased tickets online. There is a gate with this information on it, but it’s a bit of a walk to get to that point and you could find yourself turning around and heading back to the car to drop off your personal items. Hopefully, we saved everyone a second trip. Also, we would like to give a shout out to the helpful security guard that had some good tips on nearby restaurants and bars. This proved that their helpful customer service didn’t just stop at the haunt or the door. 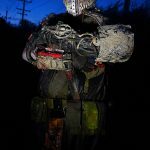 When we stepped foot on the grounds of DoD, the first thing that we noticed was chainsaws revving up and people running for their lives in the distance! One of our group members went to the restroom (portable) and some actors surrounded it, waiting for her to exit and, when she did, they chased her right out! Good thing she relieved herself before that. When we walked up to the main gate, it had a pipe-shaped entrance that was lit up and we knew exactly where we needed to be. The main floor was mostly a ticket line with a photo booth, but was also flooded with actors all around to keep those in line pretty entertained. There were two main screens that had different music videos to watch, and another screen that was running past-year advertisements. Watching these was very entertaining. DoD shared a very intimate look at their yesteryears and how far they’ve come along. We were also able to look at the different main characters on the screens, and they each had a well-thought-out bio. This really helped in preparing us to enter! The lobby also had a really impressive animatronic that looked above us and gave a few words of wisdom to those next in line for the grand marathon ahead of them. This was all enough to keep us well entertained and excited for what’s to come! DoD has some of the most well-placed and -planned special effects that we have seen. The amount of animatronics and special effects were insane! We wound up in a sewer scene that stretched for a good amount of time that had giant rats popping forward at every turn, which was very creative. 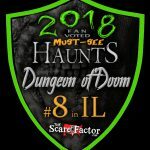 Within DoD’s marathon-timed haunt, we found ourselves really needing to pay attention to our every step! It can be difficult to maneuver with tricked floors that change direction, declining walkways that are just enough to make you almost miss your footing, small spaces that are literally pitch black and tilting walls that can trigger one’s claustrophobia. The sound effects were appropriate for their respective scenes. When we reached Biscuit the Butcher’s butcher shop, all we heard were squealing pigs accompanied by the sounds of chainsaws revving. Adding the well-detailed limbs hanging everywhere made it feel as if we had walked into some backroad butcher who probably cuts up more than just animals! There was one simulation in DoD that we have never experienced anywhere else. There has been so much panic from visitors in the past that they will give you a fair warning once you’ve made it this far (IF you make it this far). It is called, “Buried Dead or Alive” and that alone should be more than enough information to either intrigue you or make you want to steer clear. Luckily, for those who don’t want to actually live out their living nightmares, you can skip this part. We, of course, must write a review, so we did it, and it felt like it lasted an eternity! DoD does not have a specific theme that flows through its entirety. We did happen to notice last year as well as this year that most of the main characters listed on DoD’s main website do have relatable scenes. 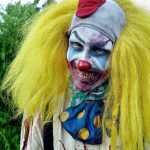 Shank the Clown could be found in a scene that’s made to believe you walked into a circus and of course, Biscuit the Butcher was in the butcher shop. 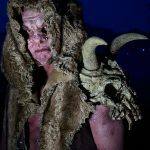 We can understand how difficult it could be to maintain a storyline throughout a haunt that’s runtime goes past the 60-minute mark but for the most part, all effects and props were suitable for their respective scenes. 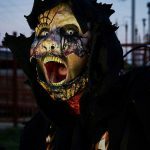 Reflecting on the amount of time the haunt runs versus the number of actors we had on that night (and again, I am sure DoD is still hiring more since it is still early in the season), we were limited on the number of jump scares or creeping actors roaming around that we encountered. The ones we did encounter mostly performed with growls and screams that were effective, but again, limited. The screams did mostly affect the more forward reviewers in our group, as they were the first ones to be spotted. This led to most of the scares being targeted to whoever entered the scene first. We can say that the amount of animatronics were plentiful, grotesque, and some of which we haven’t seen elsewhere. The ending of the haunt was a wild scene that was made to be difficult to maneuver, which caused a lot of terror and panic. DoD has a time length like no other. We clocked in at just over 62 minutes to travel the entire haunt. With general admission at $30 (VIP at $50), this gave us a MPD (Minute of Entertainment Per Dollar) rate at 2.08. This means the run time versus ticket price is nearly double that of anything else in Chicago and its surrounding suburbs. 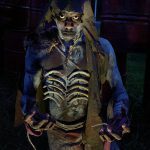 DoD offers a blackout night after Halloween where you go through the entire haunt with only a small glow stick as your light resource. DoD also offers escape rooms. The entertainment value for the ticket cost is satisfying. It is worth a visit to Zion, Illinois to check out DoD and its “Buried Dead or Alive” simulation. We would just recommend wearing a comfortable pair of gym shoes, as we were in the heat of it all for quite a while! I was the very first paying customer in the door for 2018. I attended DoD a few years ago and was …show more surprised by how much had changed (or what I didn’t remember). Everyone in my group had a great time and we talked the whole time at dinner after about what we enjoyed! I don’t scare easily but they did GET ME a few times! Well worth the money! Over an hour of Halloween fun!